In the vast basalt plains of Victoria, dry stone walls were built mostly in the 1870s and 1880s after 1862 legislation divided up large squatter holdings and when unlucky prospectors returned from the goldfields. Stone fences were a sign of tenure, security and investment in the future. 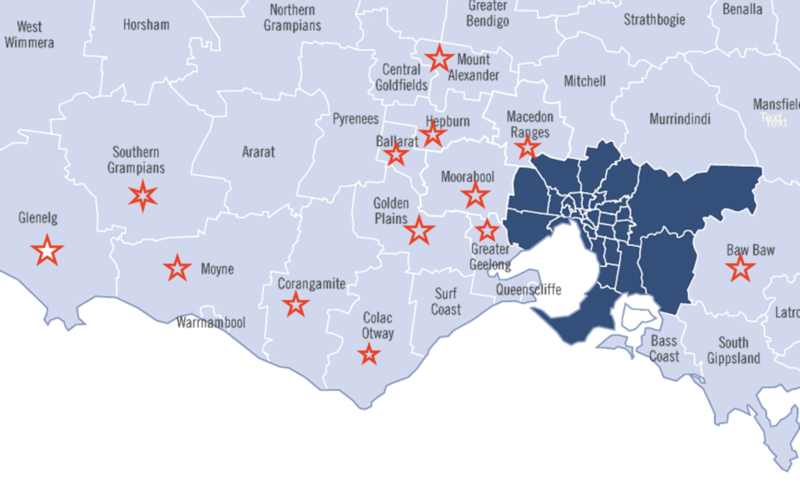 They thread across the western district from the SA border to Gippsland and the Yarra Ranges, east of Melbourne in 22 local government areas. Following the Victorian State Government’s ‘Review of Heritage Provisions in Planning Schemes’ in 2007, all Victorian councils now require a permit to demolish, remove or alter a dry stone wall constructed before 1940. In assessing applications, councils must consider the significance of the dry stone wall, any applicable heritage study or statement of significance and conservation policy, whether the proposal will adversely affect the significance of the dry stone wall, and whether the proposal will adversely affect the significance, character or appearance of the area. While this is a welcome move, the provision (Clause 52.37 of council planning schemes) is open-ended, and gives councils the opportunity to make case-by-case assessments of the impact of proposed works and to create conditions they think are warranted. 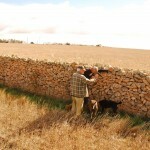 Furthermore, few councils have developed a conservation policy on dry stone walls and comprehensive studies assessing and mapping walls is yet to be done in all but a handful of councils. 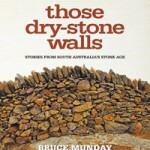 23 Victorian municipalities have dry stone walls and 12 have included this control in their planning schemes. 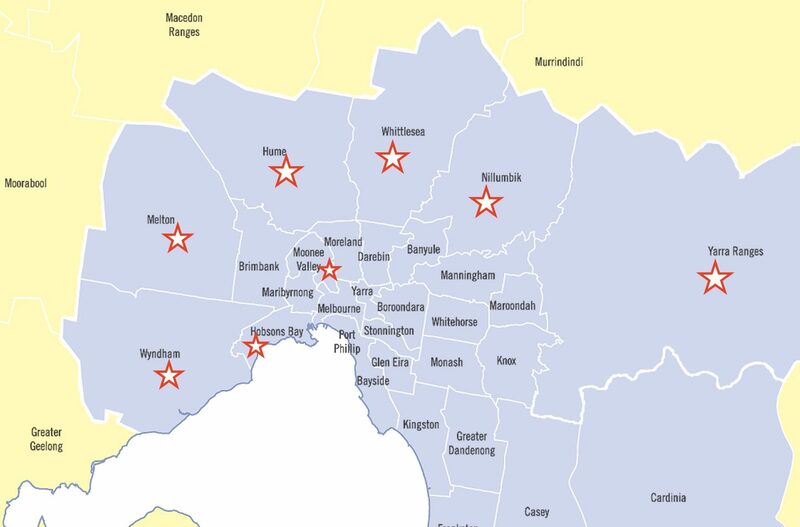 They are Baw Baw, Glenelg, Golden Plains, Greater Geelong, Indigo, Mount Alexander, Moyne, Pyrenees, Surf Coast, Warrnambool, Whittlesea and Yarra Ranges. In those municipalities, a permit is required to demolish, remove or alter a dry stone wall constructed before 1940. In assessing an application, the Council has to consider such factors as the significance of the dry stone wall, any applicable heritage study or statement of significance and conservation policy, whether the proposal will adversely affect the significance of the dry stone wall, and whether the proposal will adversely affect the significance, character or appearance of the area. The Melton City Council now has the most comprehensive protection of any local government in Australia having passed on 8th February 2016 its Planning Scheme Amendment C100 applying a heritage overlay on dry stone walls located within five precincts and two individual dry stone walls. Download the Panel Report here. 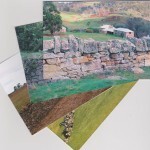 In 2006 Melton Shire commissioned David Moloney, Raelene Marshall (DSWAA Committee) and Jim Holdsworth (DSWAA President) to conduct a study of its dry stone walls including a detailed inventory of its walls, mapping, public education and awareness programs. This was updated and adopted by Council in 2011. The City of Wyndham conducted a dry stone wall study in 2013 including mapping and analysis of the walls’ significance and management guidelines and heritage citations. As at October 2014 the council was consulting on a draft planning scheme amendment which would put in place a dry stone wall heritage overlay for the city. See our separate page for a full account. v Confirmation the works will be endorsed and will then form part of this permit. The provision which enables Wyndham City Council to impose these conditions is Clause 52.37 of the Wyndham Planning Scheme. Update: These policy and guidelines came into effect in February 2017. 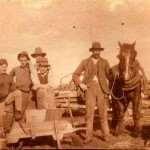 City of Whittlesea is the place where Victoria’s first rural land sales took place. The City of Whittlesea produced a Heritage Study in 1992 with a number of references to dry stone walls but is yet to survey the municipality’s ‘chequerboard network’ of extensive and important walls and it has no policy on protection, despite being one of the fastest growing areas for urban development in outer Melbourne. Westgarthtown was settled in 1850 by German settlers who built many kilometers of dry stone walls, clearing land for dairy farming. All that remains of them today are those around the Lutheran Cemetery at Lalor. At Summer Hill in Craigieburn, Dr Thomas Wilson had, by 1870, constructed more than 32 kilometres of drystone walls. At Epping, drystone walls were still being constructed in 1891 at Sambourne Farm, operated by Englishman John Stephen Morgan. 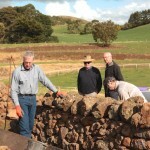 At Yan Yean, Fenwick Stud has more than 10 kilometres of drystone walls, believed to have been built between 1870 and 1890 by then owner Englishman John Horner, aided only by a boy and a horse. The approach to the homestead incorporates the best and most intact example of drystone walling to a single farm in the City of Whittlesea. Another wall at Fenwick, magnificently constructed, stands over six feet high and runs for more than 50 metres. Corangamite Shire has a 10km dry stone walls heritage trail which takes in 10 sections of diverse and significant walls in the district but has not applied controls in their planning scheme.